TAKING CARD PAYMENTS OVER THE PHONE – yes or no? 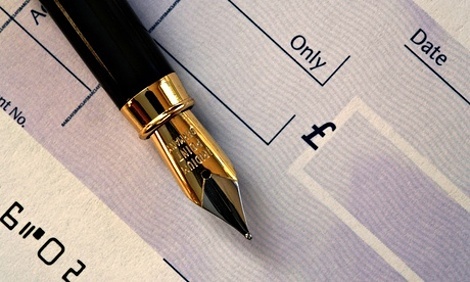 Banks are desperate to phase out cheques. Having said that, many MHM clients have endured problems with obtaining payment from self funders and/or payment in respect of shortfalls and excess payments due from their patients. Even when a cheque has arrived, it must still be taken to a bank (obviously) and paid in. And that is precisely why MHM has always advocated that a consultant must be able to take payment over the telephone. In certain cases, dependant on the size of the practice, they should also be able to take payments on-line. Yet this presents a dilemma for the consultant who believes rightly or wrongly that he/she cannot afford to accept payments over the telephone. To MHM this is a false economy because frankly, we’d rather meet the cost of processing a debit or credit card payment ourselves than the client not get paid at all. That is precisely what we did. And it’s why MHM clients have a low number of oustanding self funding patients and a low number of outstanding shortfall / excess amounts. Just imagine the situation when the patient calls and offers to pay the account only to be told the consultant can only accept a cheque or a BACS payment? In this scenario we are, at that precise point, actually refusing the offer of payment from a patient. That cannot be a sensible approach for the private medical practice, as a business, to take. If the private practice is a business (of course it is) then it must conduct its business in an efficient manner. To do otherwise leads to inefficiency and thereby a reduction of maximum profit available. As long as the payment methods are not to the detriment of the patient – we once infamously advised a potential client, we were NOT prepared to charge the patient an extra 5% if paying by card and went appointed to handle his invoicing – where is the problem? The answer to the question is a resounding yes! Indeed, whilst writing this blog I looked at my own cheque book and was amused to realise I’ve written out ONE cheque since October 22nd, 2014. All payments made by MHM have been by BACS, standing order or debit card. Yet I must have processed hundreds of debit card and credit card payments over the telephone on behalf of MHM clients in respect of self funding invoices and/or shortfalls and excess amounts. Do you need to take card payments over the telephone? Well, we do for our clients anyway!